Cloud computing is changing everything – just ask Juniper CTO Bikash Koley. 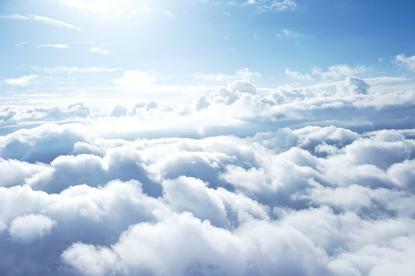 Along with that notion Koley says that there are a number of certainties about the future of building out large cloud infrastructures: Multi-cloud is a real inflection point for enterprises and service providers; there will be private clouds and that the way all infrastructure will be built going forward will be different from the way things are done today. “Who is best positioned to address those issues?" he said. "Thinking through the technology pieces, no single public cloud provider is going to solve it. "You can't solve it by just having the leading position. It's quite clear you need a full stack driving from silicon to systems to embedded software, to virtual systems, orchestration, analytics. My view of the space is that there's a very small number of companies that can handle all those things." In a recent interview with Network World Koley talked about cloud computing and also about how the industry is changing and his thoughts about what technologies will be hot for Juniper and the networking arena in 2019. Koley recently celebrated his first-year anniversary at Juniper having come over from Google in July 2017 where he led the design, build and operation of Google's production network infrastructure. Koley and his team also oversaw Google's SDN evolution, network technology strategy and networking research. Today he is executive vice President and Chief Technology Officer at Juniper where he charts the networking company’s technology strategy. Koley said that 400G Ethernet, which Juniper has in its portfolio, will be available for organisations to buy in the coming year. "400G will start getting deployed first at the WAN. Unlike 100G, we're seeing it's going to be the hybrid cloud providers," he said. Demand for 5G wireless will create a need for 400G wired WAN connections, he said. "I also believe 400G is going to interact with the data centre in a different way. "Especially in the hyper-scale data centres, you will see the 400G of silicon because it gets 4x the density. That will be a transformative change for the data centre industry." Koley predicted growth in in the use of server disaggregation, which is separating the compute and memory so those resources can be allocated according to the demands of specific workloads. "We are betting big on that," he said. "I believe it will become big because we are really treating open source as fundamental to our strategy. You will continue to see more products that make it easier for users to build features and applications on top of it making it more powerful and useful." For Juniper that means continued evolution of its Contrail multi-cloud system and the Junos open-source operating system. "We have a set of APIs that are exposed and open that lets customers control everything from data planes to control planes, using [Juniper Extension Toolkit (JET), SONiC, etc.," he said. JET is software developers can use to extend the JunOS operating system and SONiC is open-source software that can be used for data-centre networking. "We will continue to heavily evolve Junos," he said. “Intent networking is here and it's transforming how operations have done. The form it's going to take is how am I going to inform the network as a whole?" Koley said. "When I talk to CIOs or CEOs, they ask ‘How can I manage my infrastructure like Google or AWS?’ I tell them to write software so you don't need a ton of developers to operate it. We're betting big on that." He said intent-based networking describes how organisations' infrastrcture behaves. "It's an important tool because when you're doing complex automation, you want the software layer that takes care of the intent," he said. "With Contrail, [Juniper’s enterprise multi-cloud offering] we built the software stack, all the way to switches and firewalls, all the way to the cloud. Top-level intent is exactly what I describe, then the software. Different people use this terminology differently, but this is how I explain it," Koley said. A key push for Juniper in 2019 will be the development of its automation community. Announced in October, Juniper’s Engineering Network (EngNet) is a portal that includes a variety of automation tools, resources and social communities. The site features API documentations, access to Juniper Labs, virtual resources, a learning portal and an automation exchange of useful network-automation tools. The demands of traditional network engineering has changed and people holding those jobs need to adapt, Koley said. “We believe this requires companies like us helping the community develop new skills," he said. "Open source is important in doing that because if we offer the skills customers can quickly build automation and other features that will be key to helping them grow their business. "For example, we're seeing lots of activity around automating the operations and management of the WAN."